Rab Paterson (Toyo University - UCLA Extension Center for Global Education), Director and Webmaster. Patrick Strefford (Kyoto Sangyo University, Japan), President. Tingting An (University of Tokyo, Japan), Secretary-Treasurer. Rab Paterson is the current Director and Webmaster of the Asia Association for Global Studies, a member of the editorial board of the Asia Journal for Global Studies, and a Fellow of the British Royal Asiatic Society (RAS). In addition he holds memberships in the Association for the Advancement of Computing in Education (AACE), Computer Using Educators (CUE), Japan Association for Language Teaching (JALT), the Japan Association of Supervision and Curriculum Development (JASCD) and the Society for Information Technology & Teacher Education (SITE), and is the Social Media Officer / Google Advisor / Webmaster for Tokyo JALT. He has a BA (Hons.) in Pacific Asian History and an MA (Hons.) in Pacific Asian Studies from London University’s School of Oriental and African Studies (SOAS), a Postgraduate Certificate of Educational Technology and Information Literacy (COETAIL) and an MSc in Multidisciplinary Studies at State University of New York at Buffalo (SUNY). In addition he conducted doctoral research at Waseda University's Graduate School for Asia Pacific Studies (GSAPS) in International Relations for three years in the early 2000’s. Currently he is a doctoral candidate at University College London's Institute of Education (IoE) on their International Education Doctorate program, where he is conducting research on digital / information / multimedia / visual literacy. He teaches Business English, Business Skills, Digital Literacy, Intercultural / Cross Cultural Communication, Negotiations, and Presentations Theory & Practice at the Toyo University - UCLA Extension Center for Global Education, where he also helps with Social Network Marketing, and teaches Academic Writing and Presentation Theory & Practice part time at Tokyo University’s Graduate School of Interdisciplinary Information Studies (GSIIS). He was also a technical advisor on iPad and Educational Technology issues at Temple University Japan (TUJ) for their RED program for Japanese Junior and High Schools students. His publications range from peer reviewed university journal papers, conference proceedings, a book chapter in an anthology on globalization and human rights, and he has presented at many international academic conferences worldwide. In March 2013 he was one of the winners of the Apple Distinguished Educator (ADE) award for Japan and in December 2013 he was accepted into the Google Teacher Academy (GTA) and became a Google Certified Teacher and passed the Google Educator exams in August 2014 and became one of only three Google Trainers in Japan in December 2014 as well as one of the Founding Leaders of the West Tokyo Google Educators Group - the first GEG in Japan. He also lives in a semi self built, eco friendly, sustainable lifestyle log-house in the foothills of the Japan Alps with his family, their two big dogs and their goat! Patrick Strefford is an Associate Professor of International Relations at Kyoto Sangyo University and is the current President of AAGS. He earned his BA at Hull University, his MA at Leeds University, and his PhD at Kobe University. At Kyoto Sangyo University, Dr. Strefford teaches course on International Relations, International Development and the Theory of Knowledge. His research focuses on Myanmar’s foreign relations, particularly aid donors’ policies and practices towards Myanmar. Dr. Strefford has published articles on Japanese ODA diplomacy towards Myanmar, US foreign policy towards Myanmar, and on Myanmar’s humanitarian crisis, among others. In 2013, Dr. Strefford was awarded a Japan Society for the Promotion of Sciences grant to support research into international aid to support the transition in Myanmar and he is the Principal Researcher on this grant, focusing on donor assistance to capacity building in the public sector. Brian David Berry is currently an Assistance Professor at Yokohama National University's International Strategy Organization division in Japan. His research primarily focuses on the globalization of Japanese Universities and examines the role of students within the globalization process. He is also the Vice President of AAGS. In addition to working for AAGS, he is also working to finish his PhD in the ITASIA program at the University of Tokyo. 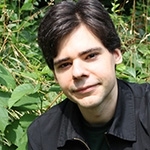 Julian Pigott is a lecturer in the Global Studies Department of Ryukoku University in Kyoto, Japan. He received his Ph. D in applied linguistics from the University of Warwick in 2016. His research interests include language learning motivation, educational philosophy and policy, and the media. He is currently investigating the challenges facing higher education in Japan. These challenges include a declining population, changes to the needs of the workforce arising from automation and economic globalization, the proliferation of online learning resources, and the application of artificial intelligence to education and learning..
Tingting An is a PhD student in the Clinical Psychology course at the Graduate School of Education, the University of Tokyo. After coming to Japan from China in 2006, she earned a Bachelor degree in clinical psychology at the School of Human Sciences at Osaka University, and a Master’s degree at the Graduate School of Education at the University of Tokyo. She has also spent half a year studying psychology at the Faculty of Health Sciences at Adelaide University as an exchange student. Her research interests cover mental health, transcultural counselling, culture adaptation, transcultural communication, and transcultural education. She is a licensed clinical psychologist and she has received Supporting Internet Rumination-Focused CBT Training at the Mood Disorder Centre at Exeter University.